Two weeks ago the Browns dispatched the Carolina Panthers at First Energy Stadium, creating even more of a buzz with the fan base that’s not been seen since the team came back into the league nearly 20 years ago. One thing that was apparent that cold 23 degree was the fact that despite the excitement from the fans, there was a ton of empty seats for a team that was on the rise. 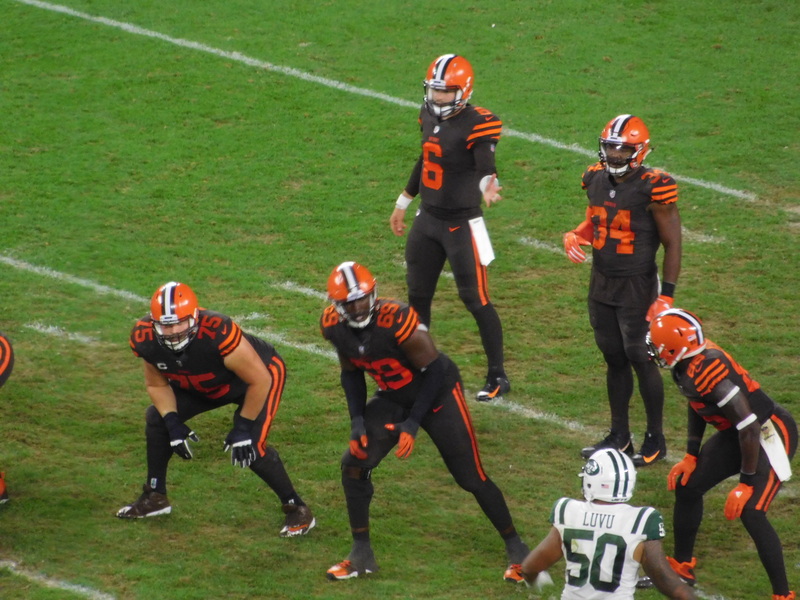 That fact did not go unnoticed by rookie QB Baker Mayfield, who came out and spoke about the fan support, or the lack of it in the stands, after the 26-20 win. “We would love to have more fan support. Today was cold, I get it, but having more people, especially at our last home game coming up, we would love to have more people in the stands cheering for us because we feed off of the energy,” Mayfield said. it sounds like Mayfield’s words have hit Browns fans hard, as Sunday’s game against the AFC North rival Bengals is nearly a sellout, and tickets on the secondary market are higher than anyone can imagine. As of Thursday night the cheapest seat for Sunday’s affair on StubHub would cost a fan $111, and that’s not including the fees that are involved. Let’s not forget that it was just last season that you could go on the same site and get tickets to a Browns game the last two months of the season for less than $10. The Browns and their players are obviously excited about the fact the fan base is ready to go for Sunday, and today the team released a video of Mayfield asking the fans to get excited for Sunday’s 1pm affair. We need you on Sunday — and we need you to be LOUD. On top of the rabid crowd on hand, the Browns will wear their color rush uniforms for the home finale.